Personality-wise, these two Sloanes were vastly different. Sloane E., a figure skater, cared a lot about her appearance. Sloane D., an ice hockey player, barely cared. It was interesting to see how they had to take on not only the sport of the other but also the style. There was a lot at stake for both of them because they each had the future of the other in her hands, so that conflict kept my eyes glued to the pages. The Parent Trap type stories can become rather trite but somehow I think for Being Sloane Jacobs it did kind of work. I mean, I wasn’t entirely convinced by the sequence of events that led to their switch but in the grand scheme, it hardly mattered. The characters were likeable, the friendships were fun, and the romance didn’t annoy me. On the contrary, it was uncomplicated but still unfolded naturally for both Sloanes. 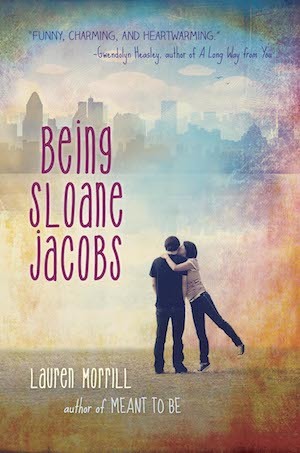 Seriously, anyone who loves sports and enjoys light-hearted contemporary fiction should definitely check out Being Sloane Jacobs! Kayla @ The Thousand Lives recently posted So When Does School End? Pretty covers always elevate the feels! Haha. And yes, Being Sloane is so undeniably cute, I didn’t have it in me to nit-pick. Lol.